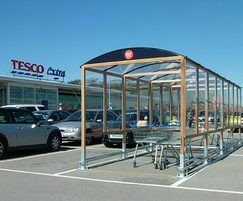 Woodscape has worked in partnership with Tesco for a number of years supplying an exclusively-designed range of external street furniture to their stores nationwide. ‘Build a Better Tesco’ is the group's ongoing commitment to improve and humanise their stores making them more welcoming for shoppers. Through their store refresh programe they have introduced a warmer look and feel with the implementation of more wooden fixtures. 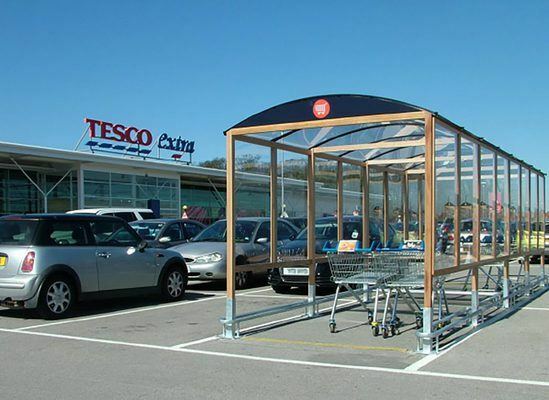 Tesco enlisted the expertise of Woodscape to create cost-effective external wooden street furniture and trolley shelters that could be rolled out across their stores. 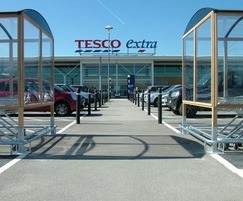 Woodscape, now appointed strategic partner, has worked closely with Tesco to develop an in-depth knowledge of the design needs of the supermarket, creating prototype products for review and progression through its 'Design Standard' process, ensuring testing and approval by structural engineers. Woodscape has also consulted and advised Tesco on the benefits of timber usage for interior features and cladding, including the impact this has on sustainability and its carbon footprint. In addition they responded to challenging economic demands by value engineering the exclusive range of litter bins, planters, trolley shelters and seats provided to the supermarket group. Most recently, Woodscape has provided training for Tesco’s install teams as they pioneer a new approach to building for retail through the consolidation of installation work under the remit a single team. Tesco has been making great progress with its refresh programme and has now updated over 300 stores to reflect the changing ways in which modern-day customers shop. Preliminary feedback is wholly positive about its warmer, more traditional and less corporate aesthetic. Woodscape offers a bespoke planter design service to help create planters specific to your client specifications. 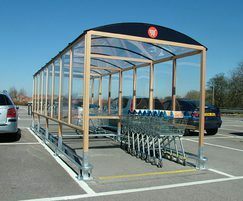 Woodscape can design and manufacture trolley shelters in hardwood.